Artists sharing traveling and residencies experiences. Emergent Art Space artist and contributor Uji Venkat, who lives in San Francisco, California, shares the excitement of visiting New York and discovering beauty in famous art masterpieces as well as in small details of city life and living nature amidst the concrete and the skyscrapers. I spent my third morning traipsing around the lively Manhattan. 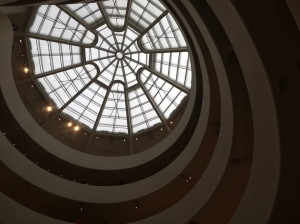 After lunch with Vino at a narrow little patisserie, Via Quadrono, I headed to the Guggenheim. From the outside, it was an odd round shape and stark white. It was something like a blank canvas whose frame was cut horribly wrong but in perfect curves before being stretched by a master craftsman. Inside, I was reminded of a peeled orange. The spiraling ramp was enclosed by a white banister circling all the way to the top, the skylight giving way to warm light emitted between each floor. I moseyed through the modern art section with Caroline, my film student friend, She is very attracted to the pieces where you have to find your own meaning and nothing seems clear. Not me; I like boundaries. My details of notice revolved around the golden water fountains and spotless continuity of white walls. We floated into the impressionist room beginning with Seurat and my excitement mounted. I saw my coveted piece, my six year wish, from across the room under an archway. It was Pablo Picasso’s 1904 Woman Ironing or La Repasseuse. The piece stands less than four feet high, just over a meter, and yet its presence is imposing. I gravitated closer. All the other pieces, the walls in front and around it, the troupe of people faded away. 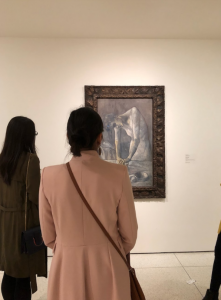 The art took center stage in it’s muted gray-blue finish, characteristic of Picasso’s melancholy and expressive blue period. From several meters away, I could see the trace of orange along her angled shoulder blade, down the curve of her back, and lining the underside of her right arm. Staring at this piece in textbooks and computer images for years, I could not have identified that almost glow in the way that I could in this moment. While her sullen work-worn face is very telling, her eyes are closed and in dark shadow. It is her posture that strikes me most. Yellow tones of the woman’s skin bluntly offset the depressive shadows and concavities of her body, but that warm rigid highlight offers a glimmer of vivacity. At the time, Picasso was relatively unknown and working in poverty, but the minimal scintillating color gives insight into the life he so keenly observed. Picasso’s blue period was characterized by the desolation of social outsiders and his own depression, as much as it also portrayed the twentieth century avant garde. Inspired and in love with the creativity that people in history have shared, that I have the privilege of witnessing, Caroline and I made our way to Central Park. 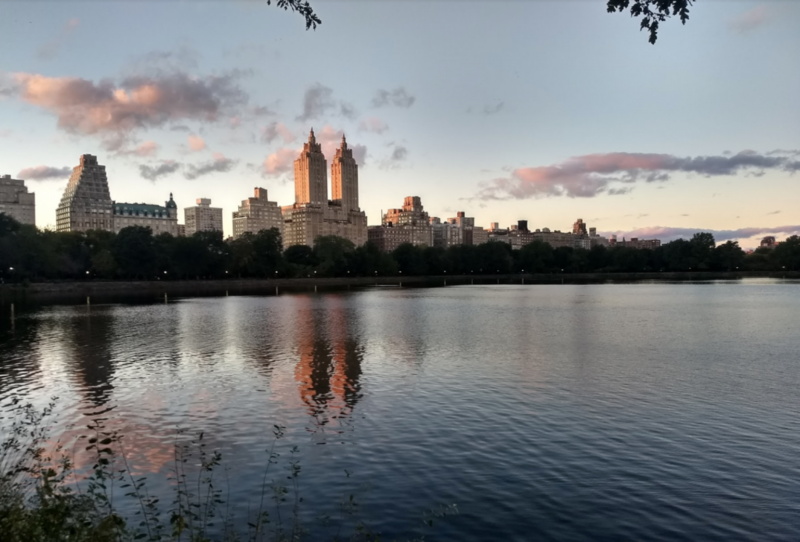 We soaked up the view of the water and skyline at golden hour before heading to dinner in the Flatiron District, named for the landmarked triangular, 22-story steel framed building. 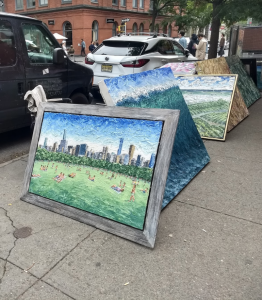 In the following days, I wandered through the posh designer streets of SoHo gawking at street art, dabbled in the musically rich Harlem, and toured the daunting Ivy League Campus of Columbia University back on the Upper West Side. 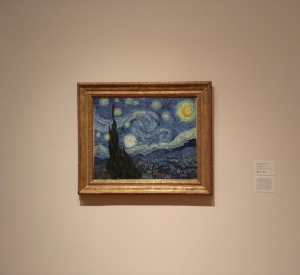 On my last day, I landed in the Museum of Modern Art, overwhelmed with excitement to see my favorite impressionist and post-impressionist works including Signac, Seurat, Cezanne, and Monet. Though the Signac I based a college art class painting after, Portrait of Félix Fénéon, was not on view, the masters did not disappoint. 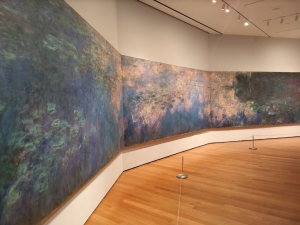 Monet’s water lilies occupied two entire walls with a continuous canvas and it was breathtaking. His strokes and soft, settled hues breathed fresh cool air back into my body. After making a first pass by the crowd at Starry Night, I circled back around for a closer look. As I saw tourists and natives snapping precisely angled photographs and selfies, I pulled out my own phone to snap a photo, when I stopped myself midway. Why did I have this need to document the piece? Surely the world wide web and the MoMA site in particular had better quality photographs than my rushed capture. And what was I thinking about while I captured this piece? Was there adequate time for me to absorb the essence of the creation in front of me? I dropped my phone back into my bag and took a step back away from the crowd off to the side. My unobstructed view of the piece sunk me into the fantasy and idealism of the oil painting. I felt the turns of strokes turn in me, the light of the stars shining upon me, the window view vast before me. I meandered to the exterior of the museum--dark reflective walls, statue garden, greenery, sleek cement, and minimalist waterfall--I breathed in a cool fall breeze and tried to refocus my attention on capturing the moment with my emotions and mind, as opposed to the image itself. Everything I remember, I remember because of the way it makes me feel. Finding myself lost again getting back to the airport, I ran into the “HOPE” sign and the “LOVE” sign. Eventually, I found my way and successfully boarded my flight to leave the magical Manhattan. After spending the day alone, the lingering thought remained that my serendipitous run-ins reminded me just how loved and hopeful I felt. I had just had my first all nighter at the new job, someone I love was ill, and I was navigating the exhausting twenty something’s social life. But how lucky was I to get to see the art, a few of my favorite people, and a new city all in one week. 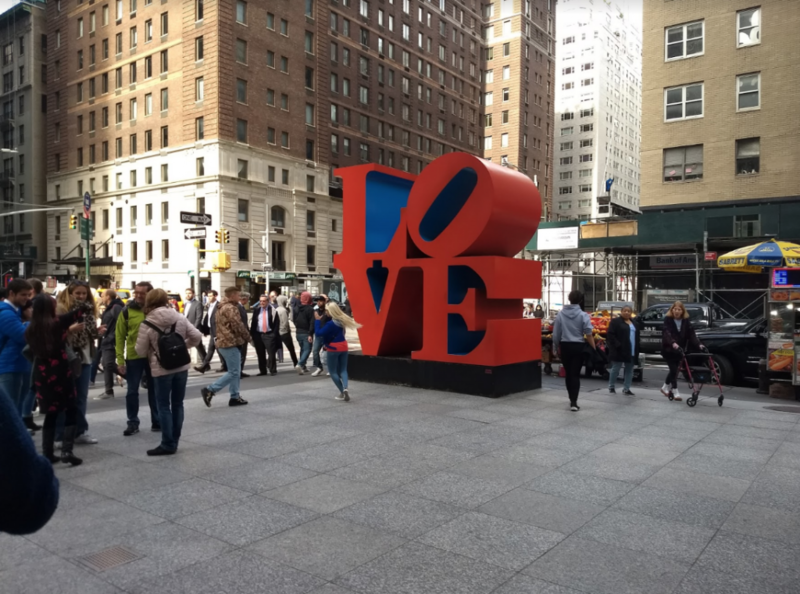 New York City, in all its hustle and bustle, reminded me to search a little deeper, look at the glass half full, and find love wherever it is. Uji Venkat: By day, my life revolves around STEAM education in tech; by night, I steal away for my creative passions of drawing, painting, and writing. My art has ranged from scientific illustrations for my thesis on zebrafish retinal development to adorning blank walls on a Tuesday night. Pragmatism and spirit often conflict within me; yet, as I have pursued my art practice, I have found that I thrive in the moments when I follow my creative impulses. Roused by the vibrant city of San Francisco, I now find myself immersed in the creativity that surrounds me. Emergent Art Space artist and contributor Uji Venkat, who lives in San Francisco, California, shares the excitement of visiting New York and discovering beauty in famous art masterpieces as well as in small details of city life and living nature amisdt the concrete and the skyscrapers. Despite my friend Vino’s insistence that calling a cab would be the most straightforward transport to her place, I was adamant about navigating the subway for the full New York experience. Carrying no cash and after 45 minutes of confusion flipping through Google maps instructions, I asked the man at a ticket counter opposite a horde of people swarming electronic ticket dispensers. He sold me an AirTrain ticket, which would shuttle me to the actual subway. I thought I was home-free when I got to the end of the shuttle. I was not. After running in a few more circles in the New York humidity, I purchased a ticket from a lady at a booth. I successfully got myself on the subway and transferred at the correct stop. One may not imagine a grown woman to be so proud of this fact, but arriving at my destination in one piece an hour and a half later may have my biggest feat of the year. 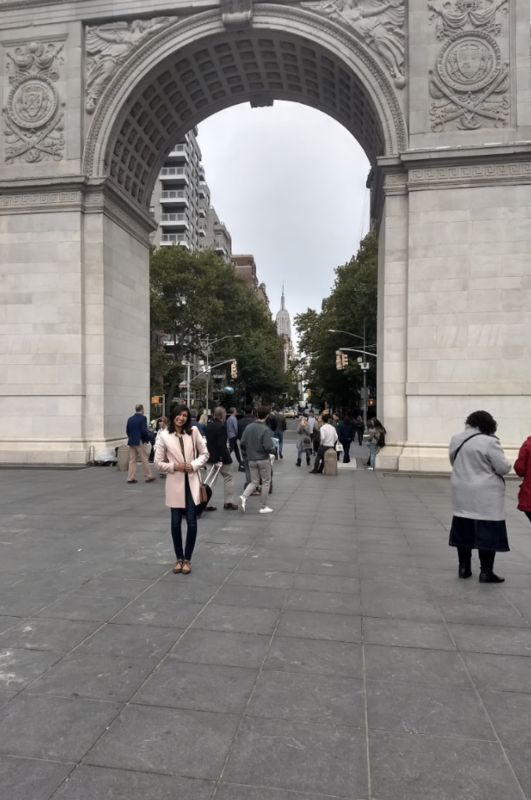 As I walked to her Upper West Side apartment, I was in awe of the enormous buildings, ornate iron gates, and smartly dressed businessmen and women. But my, was there a lot of black attire! Reaching the bijou building, I was welcomed into a long charming hallway, well-organized compact rooms, and the undeniable charm of Vino’s vibrant style. From there our friend Salman, a San Francisco Bay Area transplant studying in NYC for the past four years, took me to the cutest cafe two blocks down for my very first New York style bagel, hands down the best bagel I had ever had. We spent the rest of the day in front of our laptops working away when I was graced with the discovery that boba (tapioca balls in a hot tea drink) could be ordered straight to your apartment! Accompanied by some chicken biryani (one of my favorites in Indian cuisine), I was learning that modern technology in a busy city meant never leaving the cozy spot on the couch. Thursday night blended into Friday morning as I met my deadline. 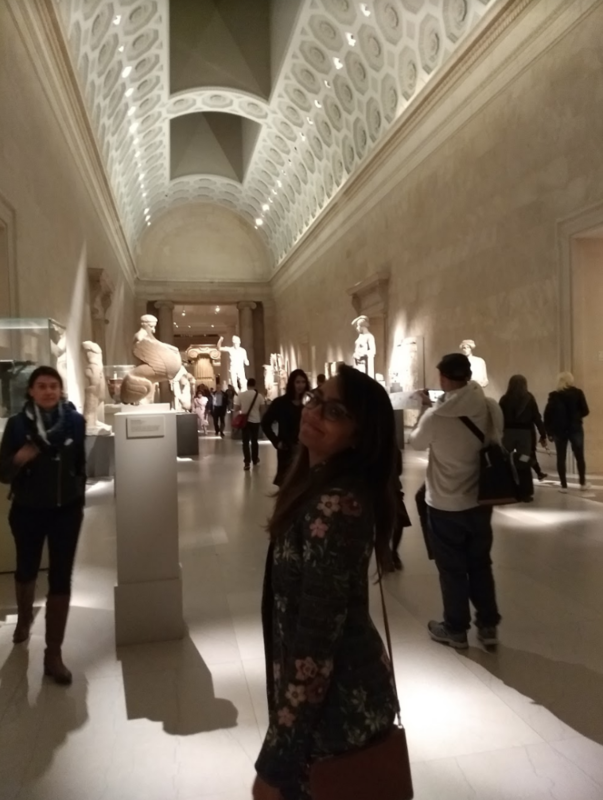 After closing out the work week, Vino and I took the subway to the Metropolitan Museum of Art. I was in awe of the white lighted stone steps and almost magical water fountain in their picturesque perfection. Arriving with only ninety minutes before closing, we glided through European sculpture, noticing the massive and miniature scales of statues and rich hues of ceramics, glass, and jewelry. Racing to the second floor, we happened upon the Albrecht Durer’s etching, Saint Eustace. I promptly gave up on seeing the rest of the museum. I could be happy just perusing the modest collection of intaglio prints. Minute and precise detail, deliberate strokes and value concentration, all adding to high contrast of black and white; I was in love. Perhaps it was my one semester printmaking course in college that makes me so appreciative of the laborious process that is required for a single intaglio print. Reproduction, however, is altogether a different experience as you follow a mechanical process, repeating each careful step. 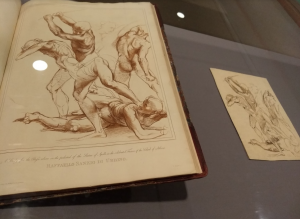 We continued to find a sketch of Raphael’s that I had done a master copy of in my introductory art class in college. I remember the forms looking so deceptively effortless in their unfinished, fluid conte crayon lines. When I had drawn it, it was not effortless in the least. Immersing myself in this 6 by 8 inch sketch, I felt that I was absorbing a sense of his dedication, repetition, and studious practice. Around the corner from Vino’s, we stopped in at Cafe Lalo. The brick interiors were adorned with framed movie posters and colorful prints. The 28-year-old cafe in all it’s charm played a cameo in the 1998 Meg Ryan and Tom Hanks flick, You’ve Got Mail. 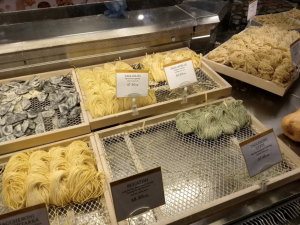 I was surprised to find that the wall hangings were not even a top contributor for variety and vibrance when I read that they sell 70 different cakes and 19 different pies. I very much enjoyed my carrot cake and Vino her, chocolate mud cake. I spent the next morning walking all over NYC with Vino. I stopped at every corner to take a picture of something I knew was very New York but so foreign to me. Flower stand! Neon signs mounted on taxis! 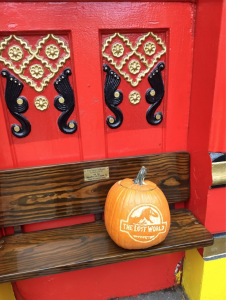 We strolled past a fire station with an elaborately carved pumpkin and ornate handles embellishing red double doors. Finally, we stopped into a fantastical bookstore called Book Culture. It had all the same books I was used to seeing in bookstores, but there was something about the ornaments hanging from the ceiling, the pyramidal tower of children’s books, the tiny trinkets, and the benevolent staff. It was this oasis of color and love in the middle of a curt, back-to-business, crowded city. Luckily, a block away, I continued my journey into a further refuge as I entered the monumental Central Park. I could immediately see why it is a sanctuary for New Yorkers. It beautifully juxtaposed nature and the tallest of buildings across the skyline. Carriage rides decorated with gold and drawn by horses leapt into the streets as if out of a fairytale. Vino navigated us to “The Mall,” architect Calvert Vaux’s pathway to Bethesda Terrace. Lined by symmetrical trees, the walk is unmistakable for scenes in many romantic comedies including Maid in Manhattan, One Fine Day, and Serendipity. Ornately detailed banisters along a double staircase introduce Bethesda Terrace. We entered through the center stairs leading into the arcade with a view of the fountain. The enchanting ceilings are comprised of 49 handmade English tiles. 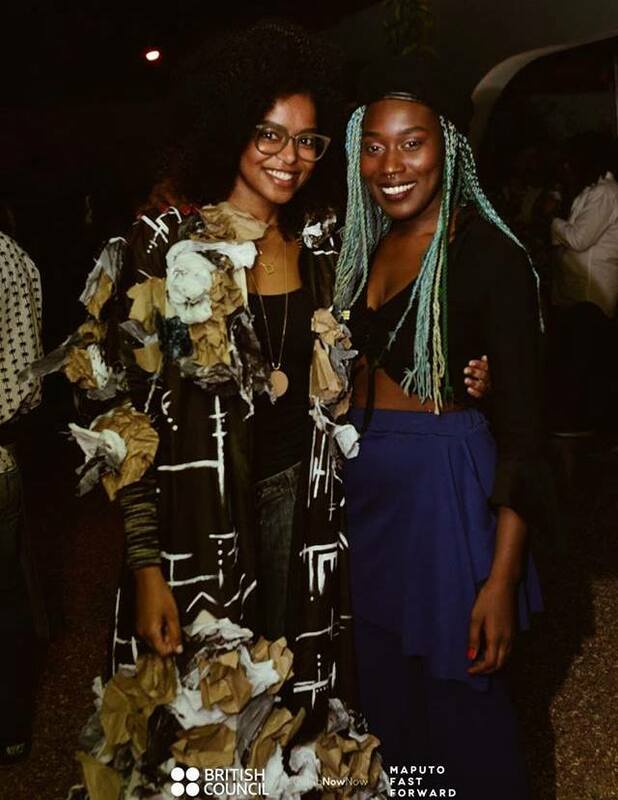 Two singers took advantage of the acoustics in the space and delivered a beautiful rendition of John Legend’s emotional “All of Me.” All this set the scene as I migrated to the fountain, daunting yet inviting in all its glory. At the fountain, I noted the vibrant purple lilies and felt the light, calming mist in the cool fall air. Captivated by the peace of the moment and art, the commotion of tourists left me unperturbed. We watched little turtles swimming toward and away from us. A vibrant red-orange stripe across the sides of their faces created a high contrast to the murky green-gray water and similar hue of their bodies. It takes a magical place to create such a distraction from chaos in a busy city. What contrast! The black suits in slate city streets against the eye-catching greenery and wildlife. I love the commotion but I also love the stillness. Only such a place could have both. Stay tuned for Part 2 of Uji's traveling experience! Uji Venkat: By day, my life revolves around STEAM education in tech; by night, I steal away for my creative passions of drawing, painting, and writing. My art has ranged from scientific illustrations for my thesis on zebrafish retinal development to adorning blank walls on a Tuesday night. Pragmatism and spirit often conflict within me; yet, as I have pursued my art practice, I have found that I thrive in the moments when I follow my creative impulses. Roused by the vibrant city of San Francisco, I now find myself immersed with the creativity that surrounds me. 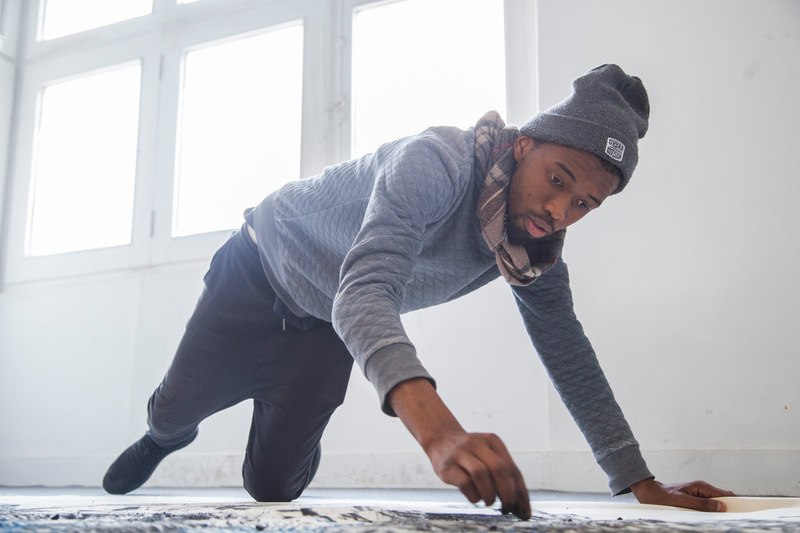 EAS artist Pebofatso Mokoena, from Johannesburg, South Africa, talks about his experience at the Kooshk Residency in Tehran, Iran, in February 2018. 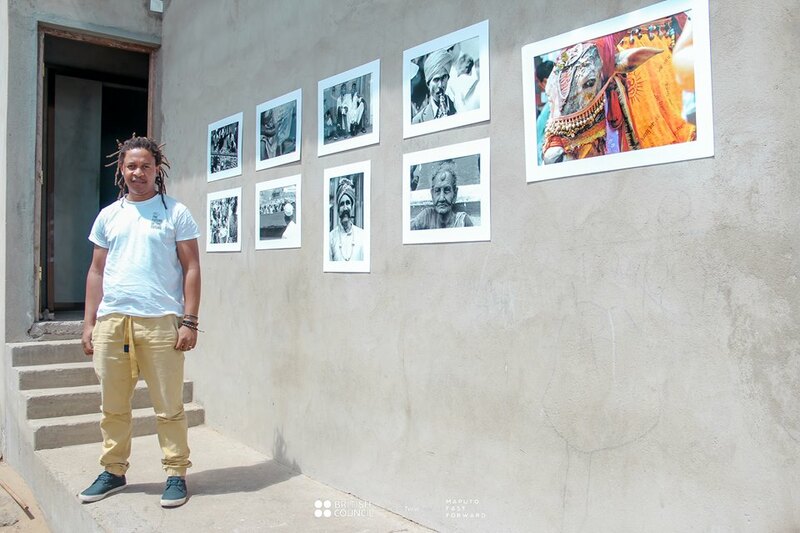 The residency is part of a South Africa - Iran exchange program aimed at promoting international dialogue and art creation. What motivated you to participate in this residency? Oftentimes I’ve wondered about how the world operated outside of Johannesburg and Cape Town culture-worlds; you know? the main art centres in South Africa. I began imagining how people lived in and out of certain contexts. How would it feel when the geographical walls from underneath and around you are moved? How large, really, are the culture chasms between spaces of myself and spaces of the Earthly domain? There were some answers I knew. Some, I had to retrieve outside of my immediate context. The Most High heard my calls, and so the opportunity came for me to travel to Tehran on my first international residency - and I thank the Almighty for that moment. The people at home were worried for me, for obvious reasons. People were telling me “Be safe. We see things on CNN, and on the internet, seems like it won't be a kind space at all." Others were shocked I was even going to Iran, others wished me an amazing adventure. I had mixed feelings when I boarded that aircraft. How would you describe the residency experience, your goals, what you learned and its impact on your work? Kooshk prioritized open-endedness, and was process driven in its outlook. Experimentation in relation to work, was primary. Discovery followed, and learning took its course. The duration of the residency was a month, and it offered me the chance to explore fundamental enquiries about my artistic practice and myself as a human being (enquiries which had been bugging me for the longest time), enquiries in relation to spacial dynamics in between places, time zones and ecological phases. 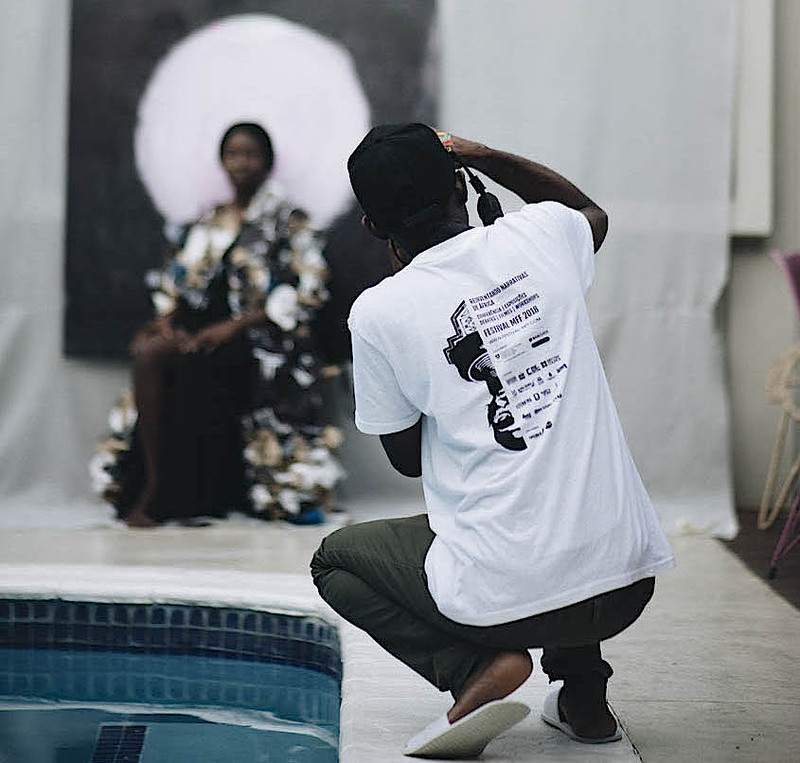 My plan for the residency was to paint, but in conversations with Keiman, former program coordinator, we worked through content and concerns, and how that would form the basis of the physical work. Unexpectedly, charcoal became the medium best-suited to engage my concerns, relative to the experiences of where I was at the time - I could draw as quickly as I was thinking. As for painting, I will do so during my stay in Zimbabwe. 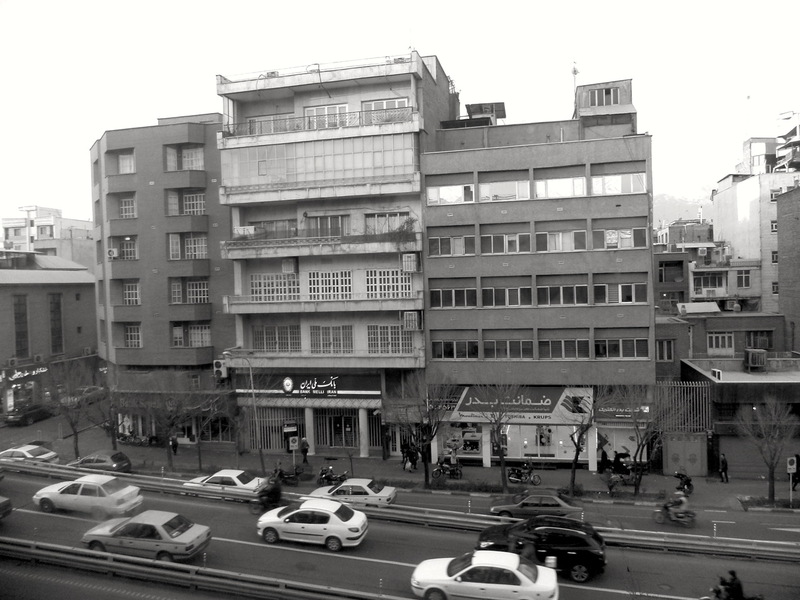 Working in a collaborative environment with mavericks like Danger Gevaar Ingozi print studio in Jo'burg, the studio in Tehran became an important axis of learning for me. My work traversed many planes - my history with depression as a young'n, breaking through those obstacles with support from family and friends, understanding rest and activity, and living as a revelation. In the same breath, I was extremely fortunate to share a 4th floor studio (in the center of the city) with Asanda Kupa, from eMolteno, listening to Johnny Dyani, Mick Jenkins, Simphiwe Dana, Erykah Badu, Bonobo, Taiwa Molelekwa and the like, with some city traffic for good measure. 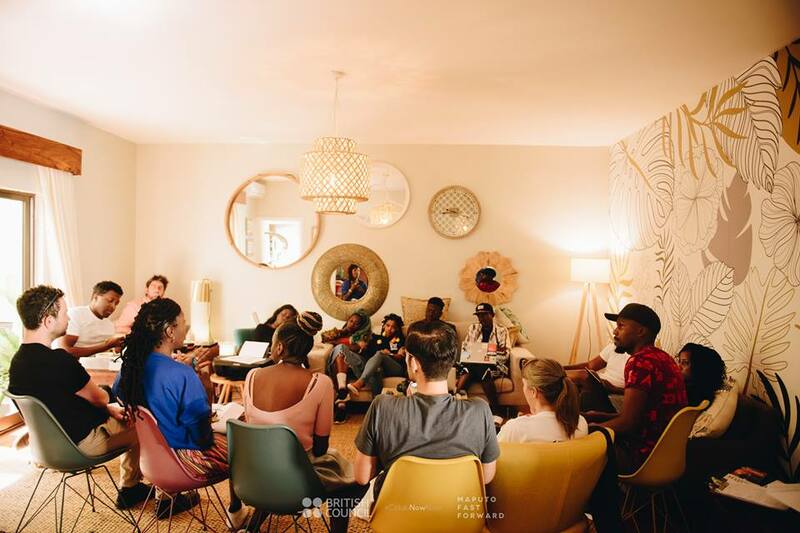 We were able to sustain healthy conversations and helped each other grow. I am thankful. 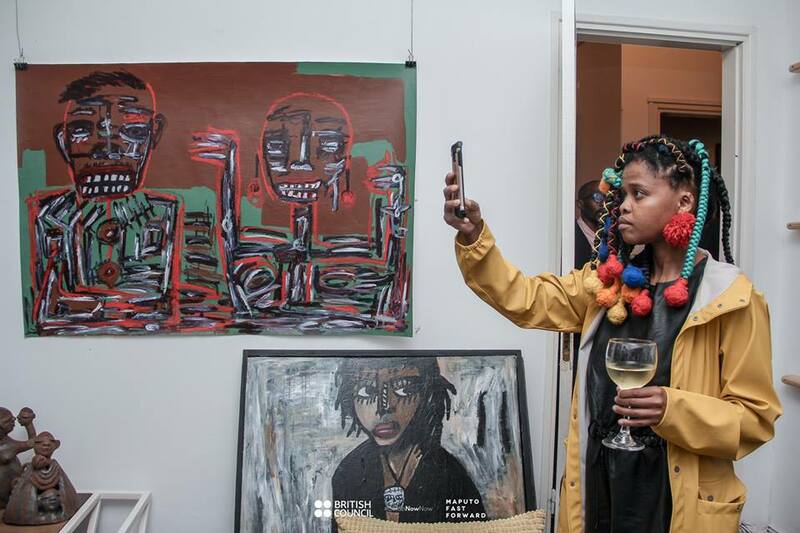 There were a multitude of artist platforms and spaces, which lent themselves to a variety of exhibitions. From the orthodox, to the not-so-orthodox, to the digital and everything in between - noting that everything is almost always curated somehow (smiles). The highlight was witnessing the retrospective of Ali-Akbar Sadeghi at the Tehran Museum of Contemporary Art. My painting gears eternally shifted. I was blown to shreds. Back at the studio, I began engaging in the fundamentals of drawing - space and time. The global environment became an entire situational play which played out on multiple platforms geographically, technologically, socially and physically - and, of course, Iran was part of the play. I began engaging in the meditative practices of image-making. I concentrated on space (in this case, canvas) as a “real” drawing surface, on drawing as a conceptual model of understanding geography, and on geography as a space of understanding movement - I was searching for new "cosmologies", if you will - I haven't finished looking for them though. These experiences became a foundation of understanding eventually - what it means for me to be human, particularly in a world where we all see the distractions, impulses and magic. 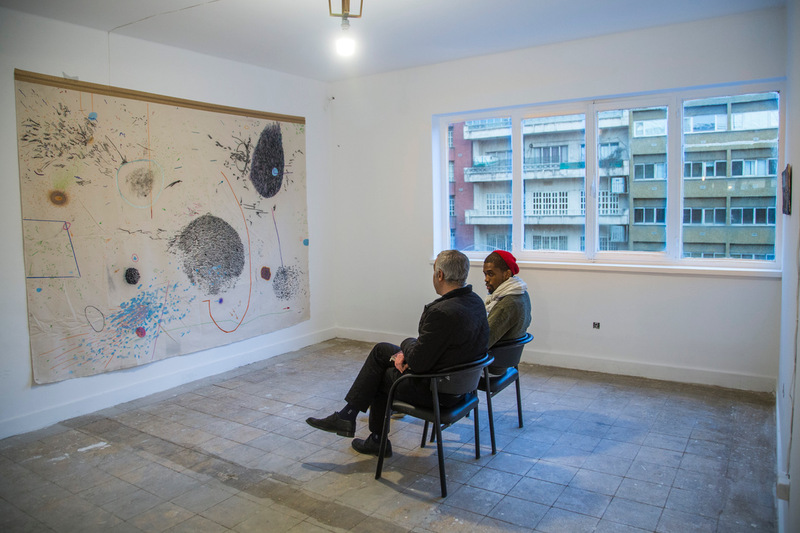 In relation to working practices, impulses such as Sir David Adjaye’s architectural engagements, forces of nature, geographical access and Jupiter’s Great Red Spot, somehow began finding pathways into my work on canvas - even though their structural geographies are far apart. Temperature Rising, in particular became an elegant piece of work, but still violent in its poetry - a personal anecdote in between life and rest. There was a point in time of the residency where colonial baggage became too heavy for me to bear, in the studio. I de-focused off of it for that moment, allowing me to engage in new quantum, in new lights. The results were a deep engagement with the self in relation to the growth of myself - a total treasure. Do you have any advice for EAS artists in pursuing residencies? I’m nowhere near that level where I can say “okay, kids, lesson number one is this!” (laughs). I’m still uncovering my lessons. I realize that artists’ careers, in sustaining their family and lives, are crucial, and should not just be taken lightly; artists should not be taken as "face value matrix tokens". True support goes beyond the locale of the financial, particularly for previously disadvantaged people in general. I can’t speak on behalf of anybody else, but for me - winning is not a competition. Winning is succeeding through obstacles which prevent you from being the best possible version of yourself. I know this is cliché, but I got to meet amazing people and the city was remarkable in and of itself. Spoiler alert! I won’t spoil all the surprises - let the geographical walls from underneath and around you fall to the wayside. 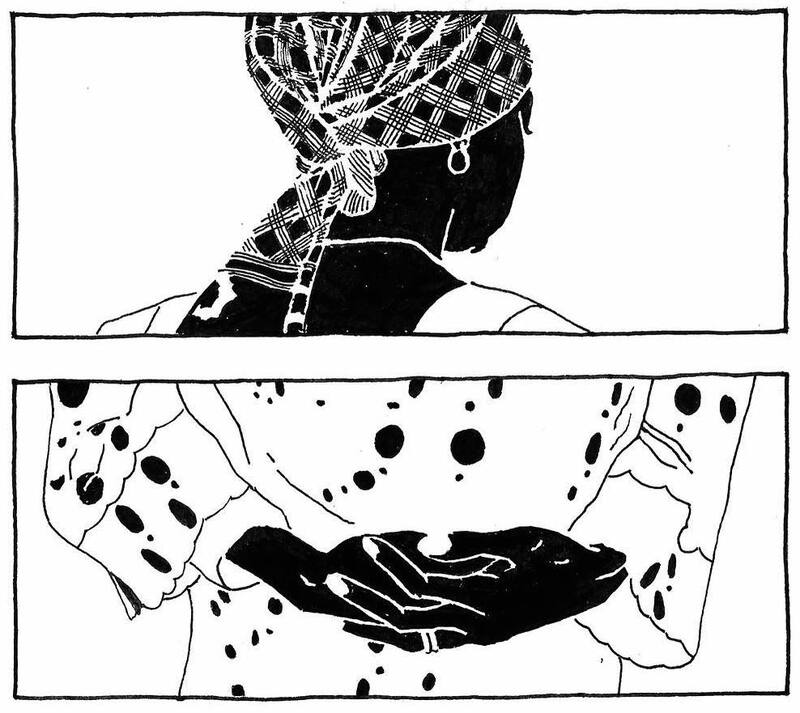 Pebofatso Mokoena is an artist living and working in Johannesburg, South Africa. 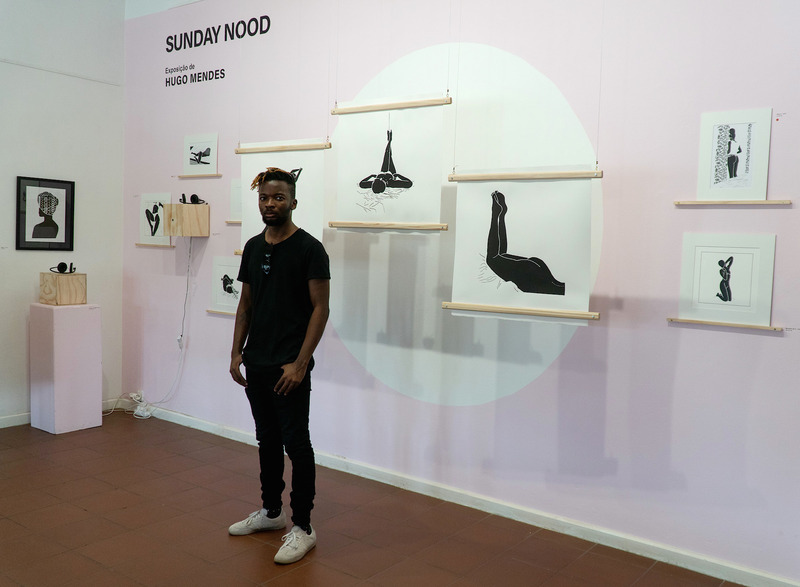 He completed his tertiary education in Visual Art from the University of Johannesburg in 2014, specialising in drawing and printmaking, and he is now working in a number of different media, including painting, charcoal and sculpture. 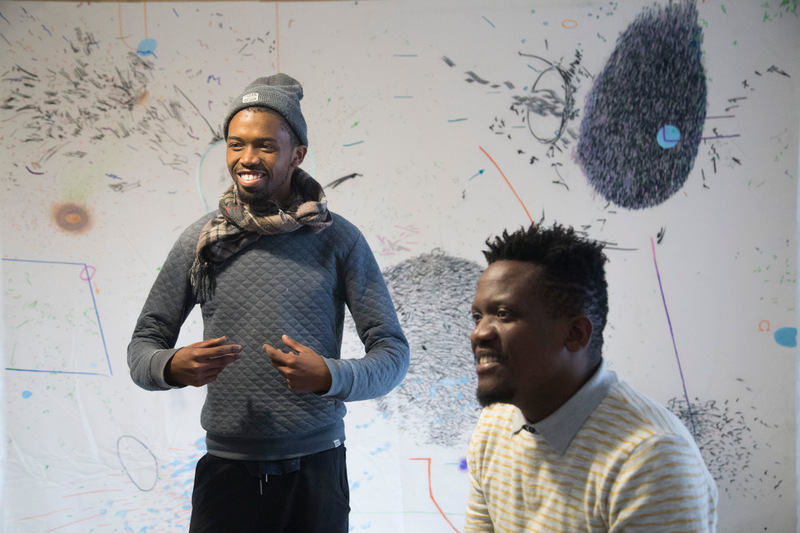 Born in the time of South Africa’s transition to a democratic state, Pebo’s work is a re-imagining of complex contemporary social questions.